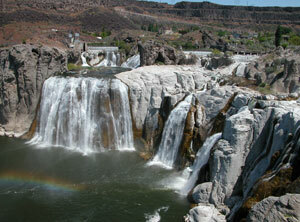 Twin Falls is home to over 40,000 people and is the largest city in Idaho’s Magic Valley region. There are many effective advertising opportunities throughout the city including the College of Southern Idaho, a very large college full of potential customers of your business. Target your audience with out-of-home advertising near downtown Twin Falls. The major highways serving Twin Falls also offers billboard possibilities. Billboards on US 30, US 93 or I-84 would generate high traffic exposure of your business.